Jesse Walker-Lanz is the library administrator for Adult and Digital Services at the County of Los Angeles Public Library. From his first job shelving books at a small public library in his Ohio hometown, Walker-Lanz has held a number of paraprofessional and professional librarian positions, including an audiovisual librarian, an adult services librarian, and manager for the Diamond Bar and West Hollywood Libraries. His past work experience had led to his current position as an administrator for one of the largest and most dynamic public libraries in the country. Public libraries offer a wide variety of career opportunities. The job duties may vary, but there are some common themes in terms of what hiring managers are looking for in strong job candidates. 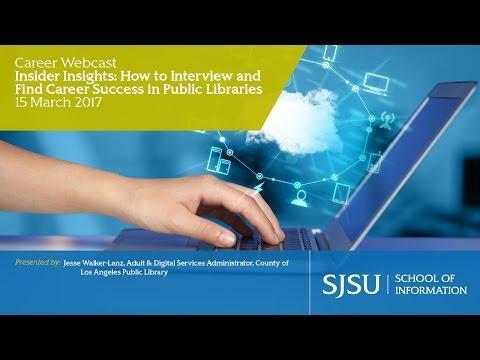 During this career development webcast, Jesse Walker-Lanz, library administrator and head of Adult and Digital Services at the County of Los Angeles Public Library, will share how public libraries can offer the key to your career success. He’ll cover the strengths and background the Los Angeles County Library values in potential hires and what to expect during the interview process. Prepare for some surprising insights!